Go-live update: Northern Territory, South Australia, Queensland, Tasmania, Victoria and Australian Capital Territory. BloodSTAR is now live in NT, SA, QLD, TAS, VIC and ACT with over 6000 patients with active authorisations and 4000 users accessing BloodSTAR as either, Authorisers, Medical Officers, Nurses or Facility Administrators. ACT went live on 24 October and WA will complete the 2016 rollout when they go live on 5 December. • Unable to edit authorisation (transfer of care or change the treating medical specialist). Access approvals – Will now receive and can approve ‘Admin Support’ role requests. View Authorisation – there is a new tab titled ‘Authorisation History’ that has been added detailing a patient’s transfer and change in treating medical specialist history. Search by Authorisation – You can now search by Authorisation number on the patient search page. Multiple one hour face-to-face training sessions are being provided at the below facilities by the NBA in preparation for BloodSTAR. There will be separate training sessions for prescribers, nurses and dispensers. These sessions will go through BloodSTAR in depth and discuss the functionality available from go live onwards. Select a reason from the drop down menu and click ‘search’. Patient details should appear for you to view. If you still cannot find the patient, it may be because the patient may not have consented to have their details stored in BloodSTAR. 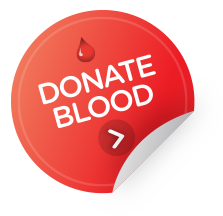 In this case, contact the Australian Red Cross Blood Service in your State/Territory. Change the facility(s) as necessary and click ‘save’. The patient should now appear on your authorised patient list. Please note: A patient’s care can be transferred back to their original facility at any time. The Ministry of Health and the National Blood Authority are continuing to work towards a date of implementation. Further communications will be distributed in the future as they become available. Further information on BloodSTAR is available online at www.blood.gov.au/bloodstar or by contacting the NBA on 13 000 BLOOD (13 000 25663) or support@blood.gov.au. If this newsletter has been forwarded to you from a colleague but you would like to receive updates, Sign up for this newsletter by creating a BloodPortal account at https://portal.blood.gov.au and from the home page click on ‘My Subscriptions’ and ‘Subscribe’ to Immunoglobulin.